Almost 500 students at the St Michael’s Primary School in Hanuabada Village in Port Moresby’s National Capital District welcomed football basics into the community last week. 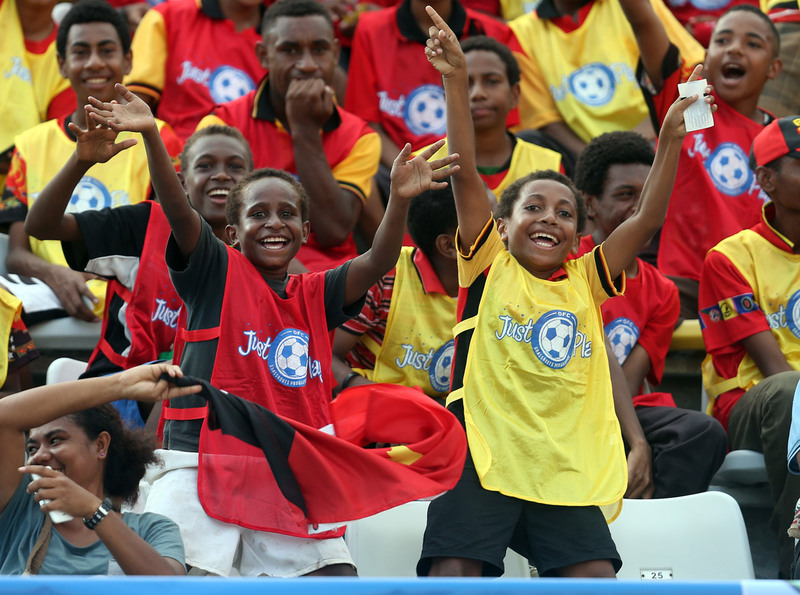 PNG Football Association launched the 2018 season of the OFC Just Play programme with the cricket-crazy community as the recipients of the first roll-out to schools interested in welcoming the region’s football tool for development programme. Just Play Project Manager Micah Kaneng said the development program has been run under the PNGFA banner targeting schools to teach students social messages through sport. “This program will help students concentrate in school, respect people around them and to develop their knowledge in football basics,” he said. The OFC Just Play program has covered almost 20 schools within National Capital District with St Michaels in Hanuabada the latest and Tatana and Baruni also included in the 2018 roll-out. Kaneng said this year they have decided to start early before they set out to other centres such as Manus, Wewak, New Ireland, Chimbu and Western Highlands. Kaneng added that the programme has been working well and is extending widely thorughout the community, managed by John Mogi and Wesley Waiwai. The PNG U-20 Women’s FIFA World Cup goal scorer Nicolette Ageva was a product of the programme and other emerging internationals have come through the programme too. St Michael’s head teacher Emmeline Sioni said they are excited to train certain age groups and to involve them in program such as Just Play. “Hanuabada children are often motivated by athletes such as Dika Toua (Weightlifting) and Assad Vala (Cricket). But not all of them are good at one sport, therefore with the football basics introduced, they can be able to represent PNG in football when they grow up,” she said. St Michael’s Primary School has assigned three Grade 4 classes to Just Play to showcase and participate in drills and mini competitions this year.